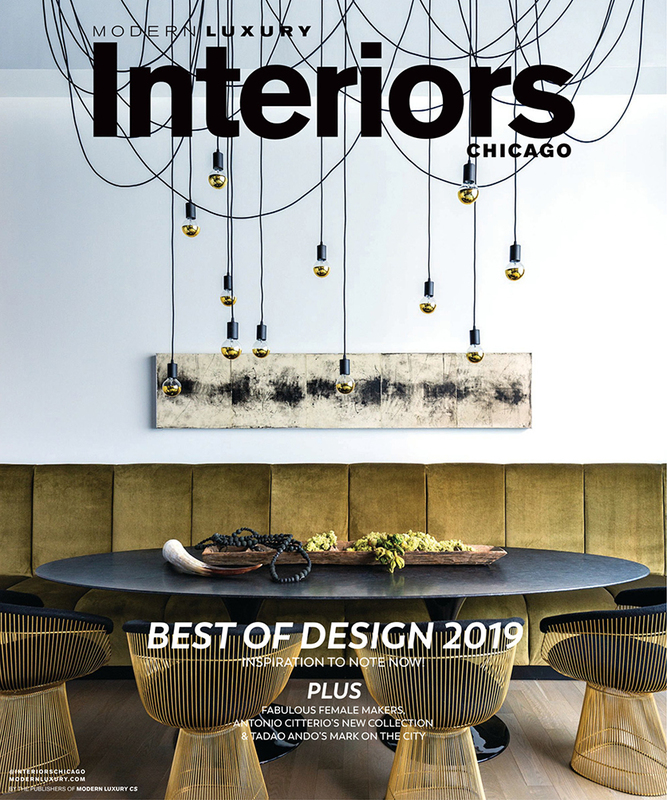 Look for our rugs in the winter 2019 issue of Modern Luxury Interiors. 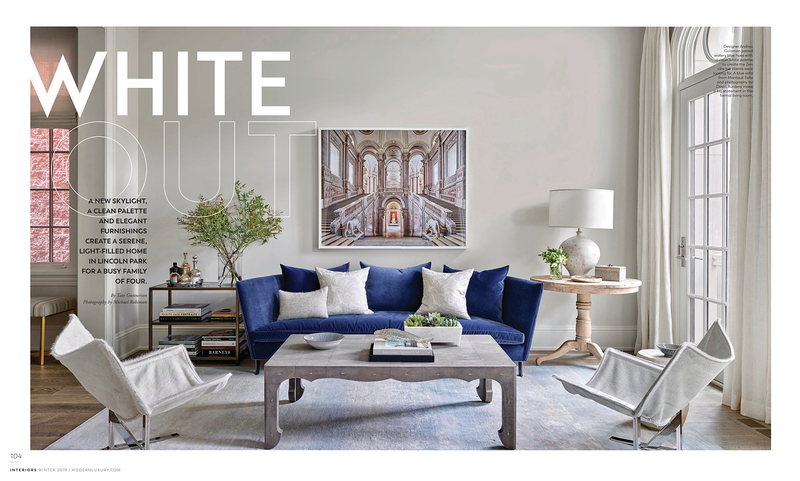 In the article “White Out” beginning on page 104, Andrea Goldman creates a light-filled Lincoln Park greystone, complete with a skylight that brings in natural light through all three floors. 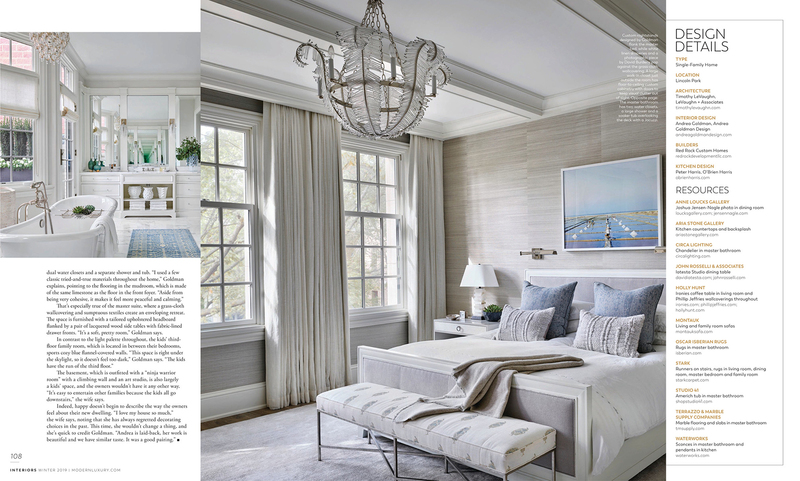 Our rugs were chosen for the serene master bedroom as well as the zen-like living room. You won’t find any clutter in this home. 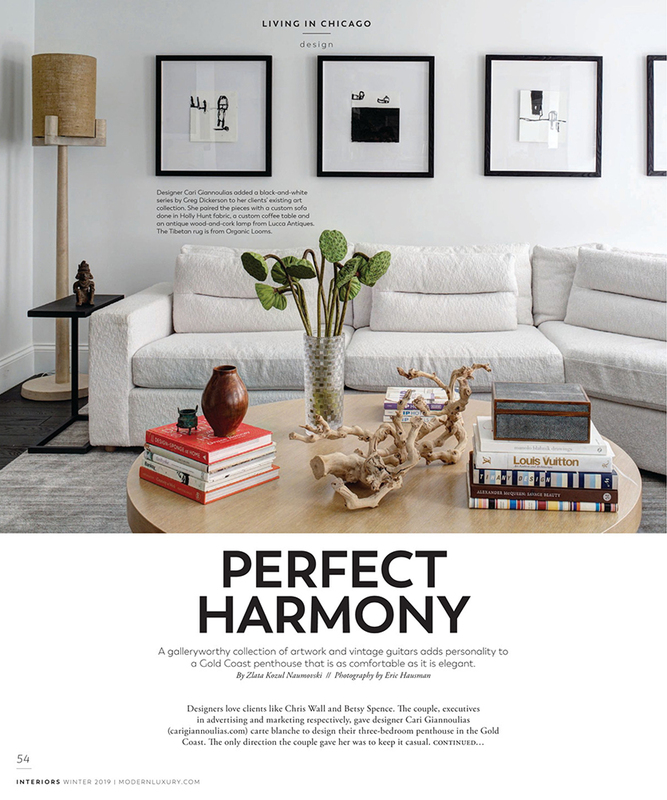 Then on page 54, “Perfect Harmony” discusses Cari Giannoulias‘s work on a Gold Coast 3-bedroom penthouse. The owners wanted to keep it casual and comfortable which Cari nailed throughout, including the reading nook which houses a custom round rug of ours that fits snugly into the corner, plus a chair you can sink into. 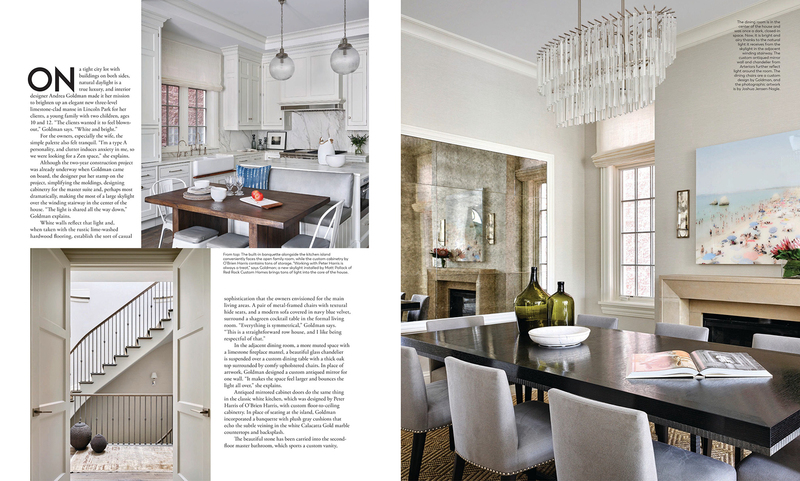 Congratulation on these features to the designers, and as always, thank you for choosing our rugs in your work!